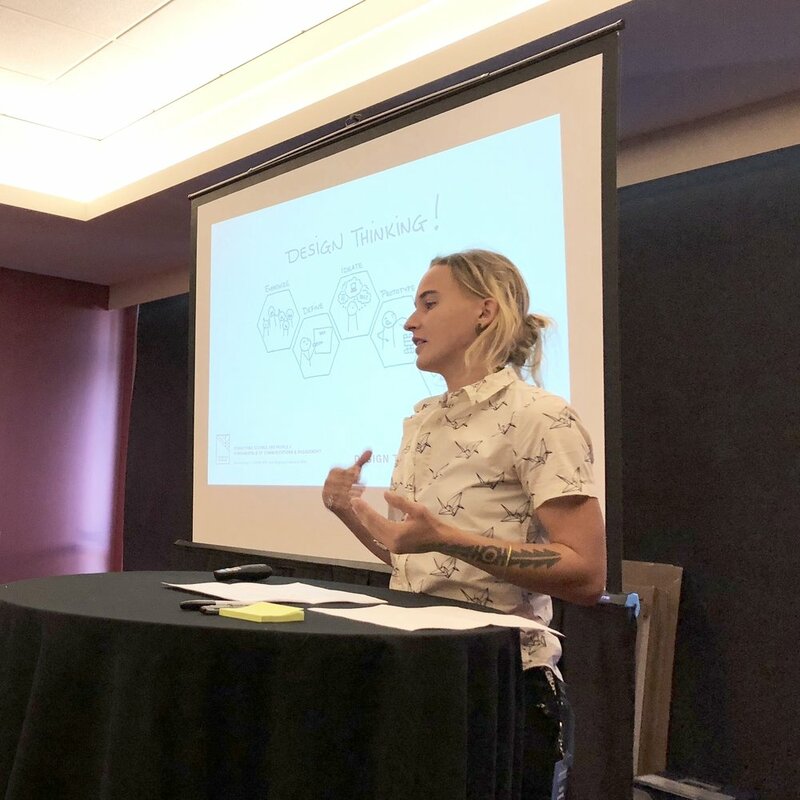 Last month, Jalene Littlejohn, Katelyn Hale and Olivia Guethling of Samara Group facilitated a day-long workshop series titled Connecting People and Science. 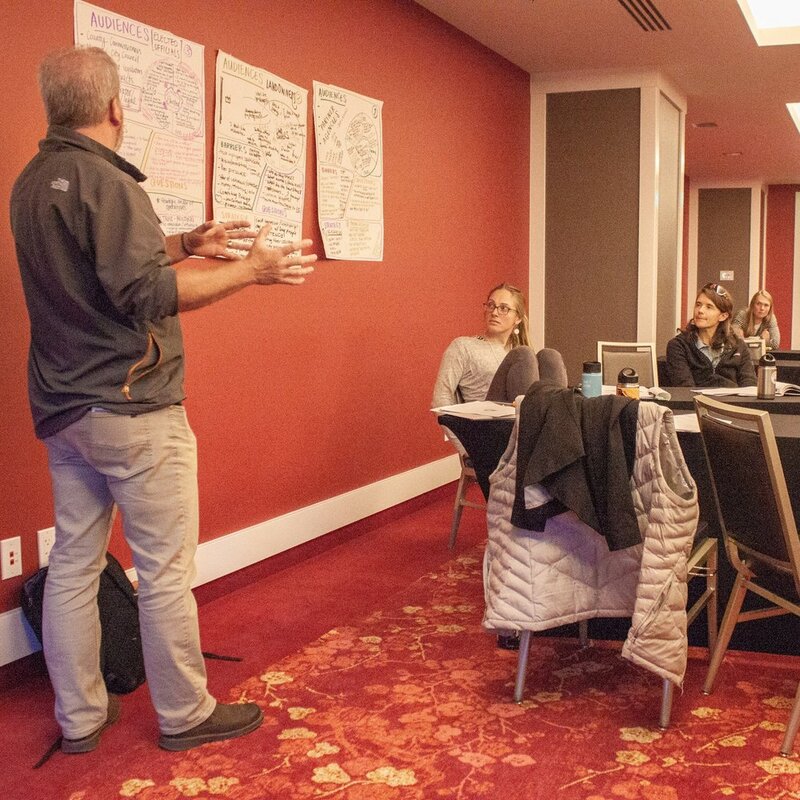 The goal of these workshops was to engage restoration scientists, city planners, and agency officials about communication, outreach, and engagement strategies. These workshops were highly interactive with discussion of new perspectives and hands on solutions for their projects. The morning fundamentals workshop combined facilitator presentations, individual reflections, group brainstorming and problem solving, and participant presentations (pictured here) to engage the many learning styles in the room. In the morning workshop, we discussed the highly beneficial practice of incorporating the work of designers early and often throughout the engagement process. Here’s Olivia explaining how Design Thinking can be a useful process for any project. Each participant of the advanced workshop received a board that visually captured potential communication opportunities of their projects. We dedicated a large section of first section of our workshop to the concept proposed by Simon Sinek: successful leaders understand their ‘why’ and use it to make their message and work more compelling. What are the core motivations for engaging in the work that you do? Watch his TedX presentation and get your wheels turning about what is your ‘why’! The Getting In Step Guide is an excellent step-by-step resource about implementing community engagement, education, or outreach campaigns to motivate positive behavior change. It’s written specifically for projects working towards improved water quality, but the strategies, tips, and tools provided can be easily transferred to other projects. 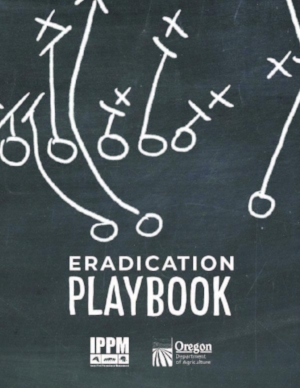 Samara Group supported the publishing of Oregon Department of Agriculture’s Eradication Playbook. This resource outlines steps enhancing engagement and project success for invasive species eradications, but again can easily transfer to other projects. Empathy mapping is a practice often used by user experience designers to think through the needs and wants of their product users. 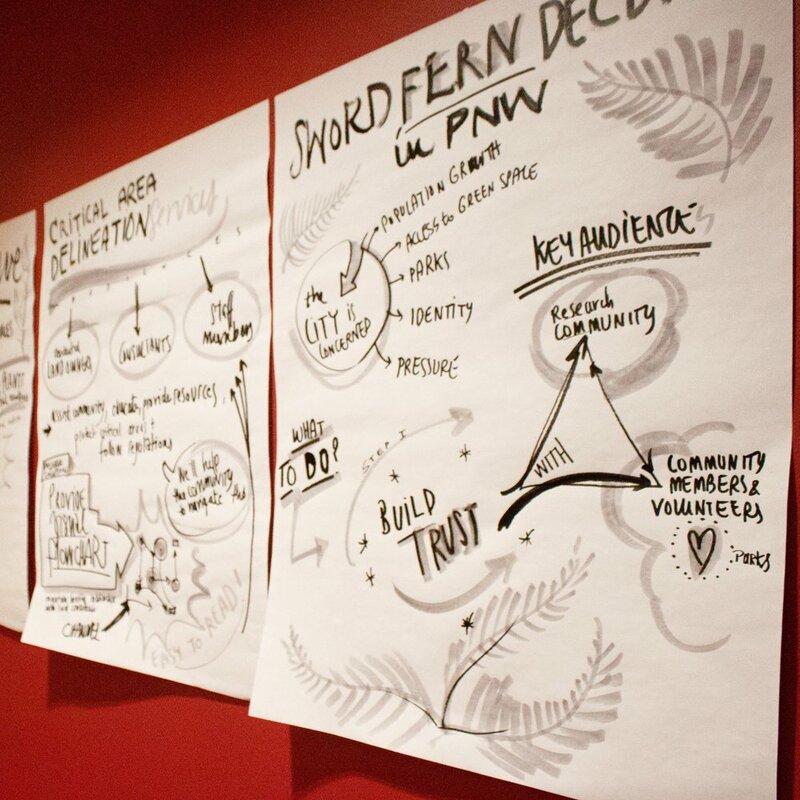 After researching audiences, community engagement professionals can use empathy mapping to better understand how to frame messages as well as think through ways to distribute information. Head to the Interaction Design Foundation’s website to learn more about empathy mapping. Thanks to all of our participants! We’d love to hear how these resources have influenced your work. Share your story with us! The second half of the workshop was designed to provide participants individualized support from our team to review and discuss real-world projects. Each participant left the workshop with a clearer vision and strategy of future moves for their projects.